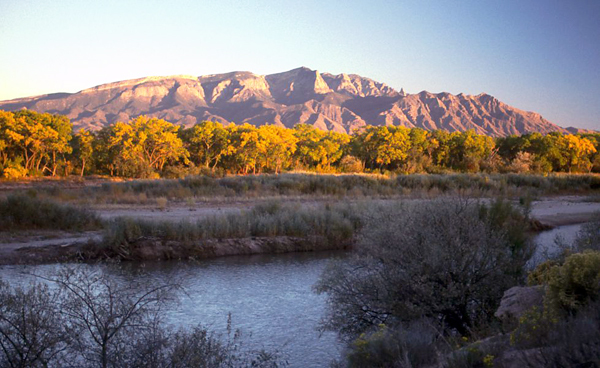 The Sandia Pueblo is 12 miles north of Albuquerque. There is a 700-year old village where many families still have homes, in addition to a newer community. This is a Tiwa-speaking pueblo and is more assimilated than most pueblo communities. The Sandia are descendants of the nearby Kuaua people. The Sandia Pueblo has been a traditional agrarian society, and the pueblo lies directly at the heart of Indian trade routes. The Spanish made the Sandia Pueblo an administrative center. Most of the pueblo people here fled to live with the Hopi after the Pueblo Revolt of 1680. It wasn't until 70 years later that most of the Sandia reestablished their culture here. Approximately 500 people inhabit the Sandia Pueblo today.